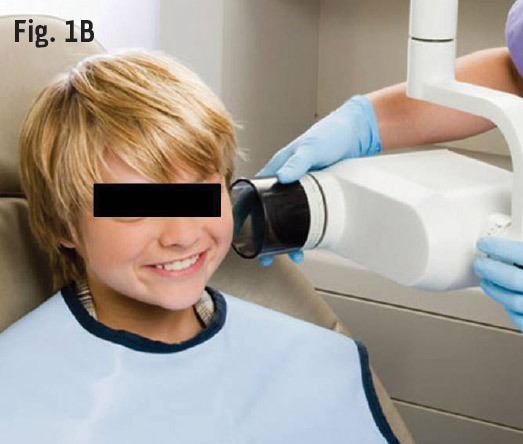 If you are going to advertise the lowest dose possible in your practice, be sure to always use a thyroid collar, appropriately positioned, when you expose any child to intraoral X-radiation. It's time to adopt rectangular collimation made easy by current products. Pay strict attention to your machine's control panel when selecting the exposure times and settings for child patients. One of the most common questions that dentists and their staff must answer in their offices every week is, "Why do I need these X-rays?" All of us have answers, partial answers, explanations and analogies to try and answer this question. Some of us even have facts. But in reality, we should turn the question around and ask ourselves, "Why do I need these X-rays?" Images created using X-ray radiation with whichever receptor you prefer—film, phosphor plates or sensors—are used for diagnosis. I am always surprised at the number of dentists who don't remember that. I'm shocked at how many dentists sometimes order dental X-ray images based on the frequency of the payer or insurance companies' reimbursement schedules. That is not a reason for prescribing X-ray images in the first place, and second, it would be hard to defend requesting these images for diagnosis if you haven't even examined the patient—another practice in some offices. This is a bad enough scenario with adults, but is really indefensible with children. How can we do a better job? How do we educate the parents about the necessity of the images and their safety if we are not practicing safe radiation hygiene in the first place? "What do you mean, Dr. Miles, of course I do all these things," you protest. Some of you do, some of you don't, and some of you don't do it very well when you do. I hate to be blunt, but I'm about to explain. 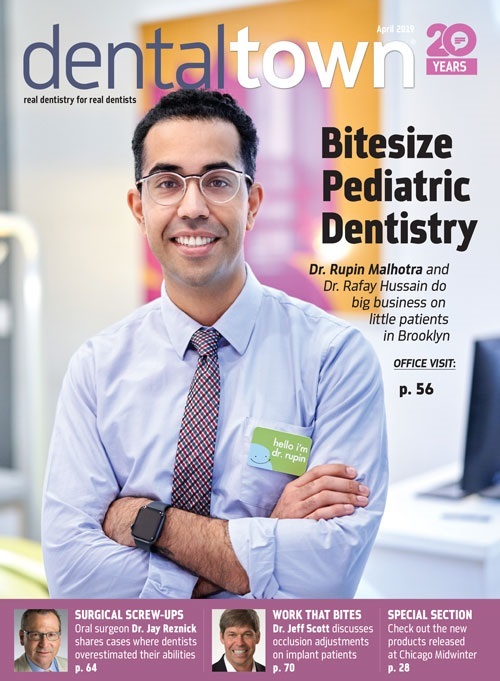 On September 26, 2014 the American Dental Association (ADA) announced in ADA News that it had joined the national campaign called Image Gently, urging the dental profession to use child-sized radiation doses. Here are the six tenets proposed by the campaign. Select X-rays for individual needs, not as a routine. Use X-rays only when essential for diagnosis and treatment—based on a review of the patient and his or her dental history. Use the fastest image receptor available. When film X-ray is used, select E or F speed. Set exposure parameters as low as possible for diagnostic digital imaging. Use cone-beam CT (CBCT) only when necessary. 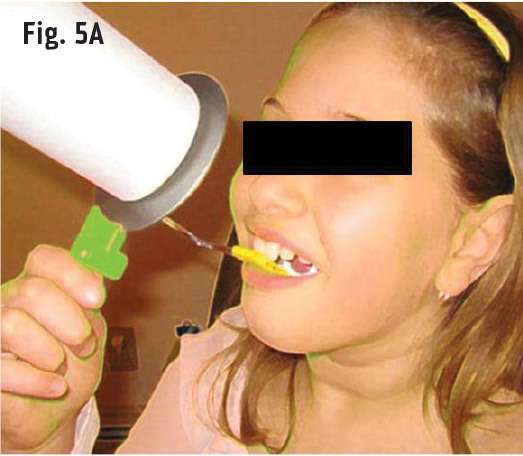 CBCT should be restricted in children to cases in which it is essential for diagnosis and treatment planning. Collimate beam to area of interest. For intraoral X-rays, collimation should be rectangular to match recording area of detector. For extraoral X-rays, including cone-beam CT, restrict beam to the area needed for diagnosis. The sad but fascinating part for me is that none of this is new, except perhaps the point about the use of cone-beam CT. Dentists and their staff who trained in any formal dental program were taught the concept of selection criteria: to examine the patient, determine the need for the test—the X-ray—and order only those necessary based on the exam, history and signs and symptoms. Cone-beam CT is actually being adopted at a quicker rate than digital intraoral imaging. But cone-beam CT is really just another imaging modality, a modality that we will treat the same as the suggestion in the first point above. So what we are left with are easy solutions. Always use a thyroid collar, collimate your X-ray beam, and make sure you adjust your exposure time to the lower settings appropriate for children. Pretty simple, right? Maybe not. All of us have a thyroid collar in our office. Do we always use it with kids? Do we always have it on properly? Figures 1 and 2 show how we may not always follow this recommendation or even practice it diligently. The child thyroid is one of the most radiation-sensitive tissues known to medicine. Since 1988, The National Council on Radiation Protection & Measurements (NCRP) and ADA have recommended the use of a thyroid shield for children. It has also been republished as a guideline by the ADA. You must think of this recommendation as mandatory. This office practices good infection control but there is no thyroid collar present, nor a lead apron (Fig.1a). Also it is advisable to bag the X-ray unit as seen in Fig. 1a for infection control. In Fig. 1b, meanwhile, a lead apron was used, but the thyroid collar was forgotten. In Fig. 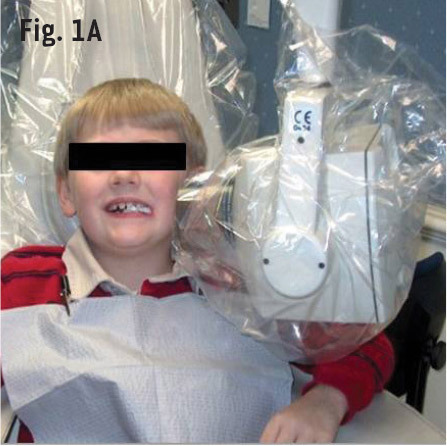 2, a lead apron and a thyroid collar are used, but the thyroid collar does little to protect the child's thyroid, especially given the tubehead angulation used to capture this image. 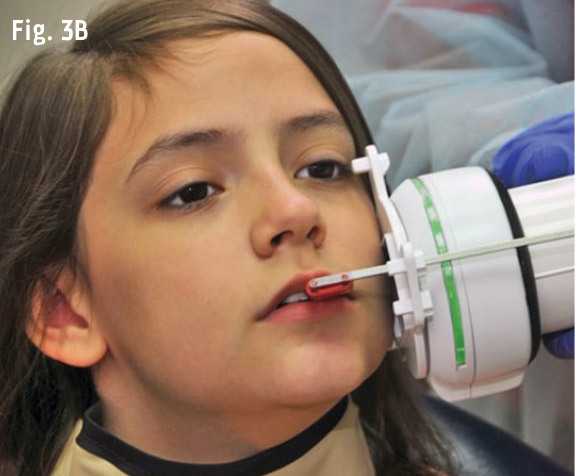 In addition, even though a position-indicating device (PID) was used, note how far the ring and the tubehead position are from the patient's face. This leads to unnecessary exposure of the thyroid—one of the most sensitive endocrine tissues in a child. From the images above, it would be hard to convince the parent that this office practices good radiation hygiene and uses the safest measures possible. There are several rectangular collimating systems to help dentists and their staff members achieve the best radiation hygiene and patient safety. Fig. 3A shows one of the latest and most foolproof systems, the Tru-Image collimator and image alignment system. The system uses a magnetic position indicating and locking ring coupled to commonly used receptor holder systems such as the Rinn XCP and Flow RAPiD positioners. Many dentists have already adopted the predecessor of the Tru-Image device, the Tru-Align positioning system (Interactive Diagnostic Imaging, LLC). 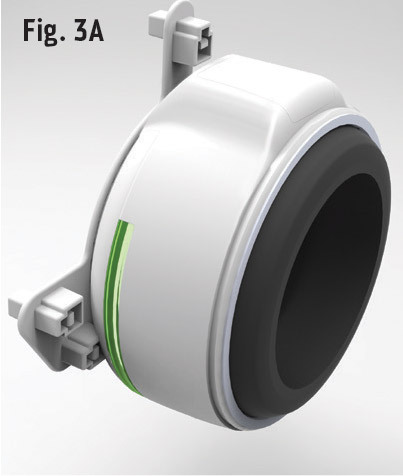 This device, soon to be replaced by the newer version, is also depicted in Fig. 4A. (See next page) The Tru-Align system won the Pride Institute's Best of Class Award at the 2013 American Dental Association meeting in New Orleans. Both of these devices actually turn your PIDs into a position-locking device (PLD) with magnetic coupling of the receptor holders to the actual X-ray machine. This new concept practically eliminates retakes. Retakes account for 45 million dental X-rays annually. So not only do devices like these cut the beam shape down to a rectangular one (collimation), but the newest technologies can actually help you reduce dose even further by substantially limiting retakes. Best of all, these devices can be used with any existing dental X-ray machine. Figure 5 (See next page) shows two additional types of collimator products. The Tru-Image alignment system, a PLD (position-locking device). 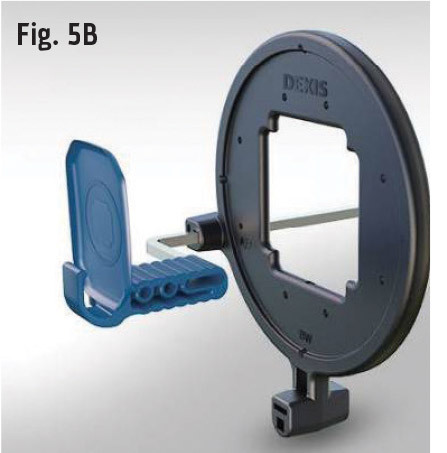 The device in place magnetically locks to the ring and rod to eliminate errors of angulation, the source of many retakes. The original Tru-Align device being positioned on a child patient. This unit is being phased out in 2015 and replaced by the device pictured in Fig. 3A. Image courtesy of Interactive Diagnostic Imaging, LLC, Marietta, GA.
Figs. 5A and 5B show the DEXshield, Radiation-shielding positioning ring, as well as the JADRAD Dental X-ray Shield (this device may no longer be available for sale). Fig. 5B courtesy of DEXIS, LLC, Hatfield, Pennsylvania. Most contemporary dental X-ray machines use icons on the machine's control panel for setting the exposure times. There is commonly an icon for an adult and another for a child. While no two patients are identical in body size or density, including children, it is appropriate to always select exposure times that are appropriate for a child. The icons on these machines are linked to exposure tables that have been calculated to optimize the image quality for a particular receptor—film, phosphor plate or solid-state detector (digital sensor). One of the common mistakes made by operators is to equate phosphor plates and digital sensors (CCD or CMOS solid-state, electronic devices). Phosphor plate exposure times are not equivalent to those of digital sensors. They take a longer exposure time somewhere between that of film and digital sensors. Obviously, parents will not understand—or sometimes be patient enough to tolerate—long explanations of your safe X-ray practices. Many parents are already anxious about their child's visit to the dental office, even before you have to explain why you need X-rays. What can you do? Here are some suggestions. Develop a one-page, brief, bullet-point explanation sheet of the procedures your practice follows to minimize each child's exposure to radiation. Explain to the parent how you will first examine the child to determine the need for any dental X-rays, and explain how frequently they may be necessary: fewer X-rays if a child has no dental decay, and more if there is dental disease. Show the thyroid collar to the parent and offer a brief explanation. If you use or adopt a rectangular collimation product, explain how rectangular collimation limits the beam to a smaller area. If you use phosphor plates or solid-state detectors or even the fastest F-speed film, explain how it is more sensitive and requires less exposure time. If you're not using the fastest receptor possible compatible with your office, change your practice. If you are using a contemporary X-ray machine, show the parent the child icon on the machine and explain that it automatically selects a shorter time for the child's X-ray exposure. Locate and reprint external evidence of how low dental X-ray doses really are. This will also be helpful when the parent balks at his or her own dental X-ray exam. One source of this evidence that I provide on my website is something I have termed the "One in a Million" risk sheet. On one page I demonstrate equivalent risks to a full-mouth series of D-speed, film-based X-rays to risks that we each encounter every day. The data are taken from insurance morbidity and mortality tables and are published periodically for X-ray technicians in the medical field. Also, a pie chart graphically shows how little exposure patients get from any dental X-ray procedure. You can download a copy from my website at Learndigital.net (see references, below). You encounter patients daily who are fearful of dental X-rays and parents who are often even more fearful for their children. As frustrating as this may be, you must prepare yourself and your staff to allay these fears. Hopefully some of the information and some of the suggested technology featured in this article will be helpful. It is likely that the Image Gently campaign will have a direct and significant impact on your dental X-ray office procedures. If we adopt the tenets of this campaign and practice safe, effective X-ray procedures, we will not only be protecting our patients to the best of our ability, but also practicing the most ethical and appropriate way we can with respect to dental X-ray radiation. 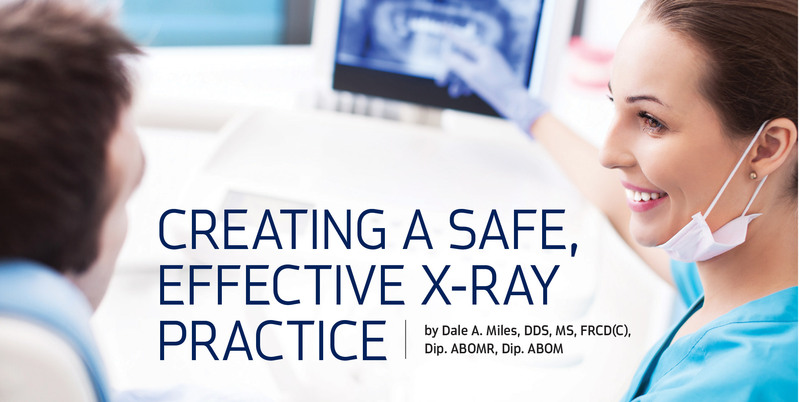 It seems to me that practicing this way and developing the materials to explain the safety of dental X-rays to our patients would then enable us to market our practices as safe, effective X-ray practices. 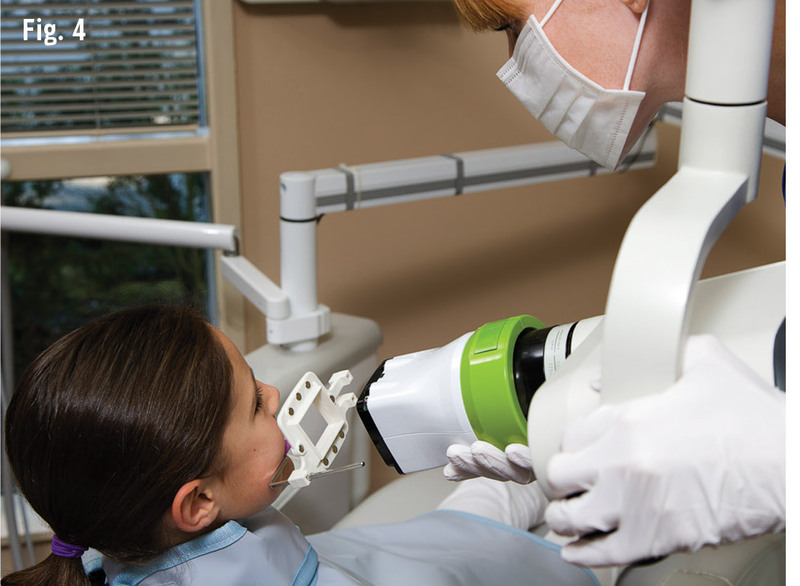 Image Gently Campaign Expands to Dentistry: Urges Dental Professionals to Use Child-Size Radiation Dose ADA News, September 26, 2014. Recommendations in radiographic practices: an update, 1988. Council on Dental Materials, Instruments, and Equipment. JADA 1989;118(1):115-7. National Council on Radiation Protection and Measurements (NCRP). Radiation Protection in Dentistry. Bethesda, Md: NCRP; 2003. NCRP Report No. 145. Dental radiographic examinations: recommendations for patient selection and limiting radiation exposure. American dental association council on scientific affairs, revised 2012. Dr. Miles is an adjunct professor of oral and maxillofacial radiology at the University of Texas Health Science Center in San Antonio, Texas. A diplomate of both the American Board of Oral and Maxillofacial Radiology and the American Board of Oral Medicine, Miles has been named as one of the top clinicians in CE for the past 12 years by Dentistry Today. He has authored more than 135 scientific articles and six textbooks, including the second edition of his Atlas of Cone Beam Imaging for Dental Applications. 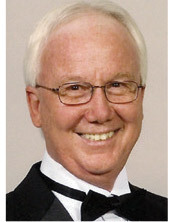 His website, learndigital.net, teaches dentists and auxiliaries about digital imaging and cone beam imaging. He also provides a social network television channel, interactiveimagingtv.com. Miles is president of Cone Beam Radiographic Services, LLC, which provides radiographic interpretation to dental colleagues and radiology laboratory services who use CBCT. To date he has read more than 18,000 CBCT scans.